The potential value of medical records data to clinical research could be magnified by the computing power associated with a system of digitized, or electronic, medical records. The application of information technology to patient records offers the promise of new knowledge that can be obtained only by integrating and analyzing data extracted from hundreds if not thousands of patient records, including medical history, physical examination, diagnoses, diagnostic tests, medical images, administrative data (claims, billing, outcomes), clinical information, environmental profiles, and genetic analyses, combined with new findings from molecular and genomics research. As institutions struggle with the adoption and implementation of EHR systems, it is crucial that they consider the needs of and seek the advice of the research community. Payers and consumers are increasingly including the results of patient surveys in performance measures used for payment, public reporting, and improvement. A fully functional electronic healthcare information system would enable physicians to contact patients directly, to solicit patient feedback related to specific conditions, and to compile actionable feedback to the practice. Having electronic health information about the entire population of patients served by a given practice or provider enables queries about groups of patients who suffer from a specific condition, are eligible for specific preventive measures, or are currently taking specific medications. Among other things, this population-based view enhances the ability of the practice to identify and work with patients to manage specific risk factors or combinations of risk factors. It also can detect patterns of potentially related adverse events and enable patients at risk to be quickly and correctly notified. Outreach, patient education, and notification about particular risks are made possible by this kind of system. For this to happen, we must be able to "disassemble" the information in electronic health records and then "reassemble" it in various ways. 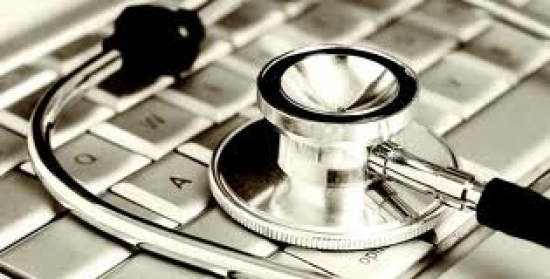 Subsequent blog entries will address innovation in EHR.